Ma’alot-Tarshiha is a quiet Jewish-Arab city in the Galilee within walking distance of Israel’s border with Lebanon. 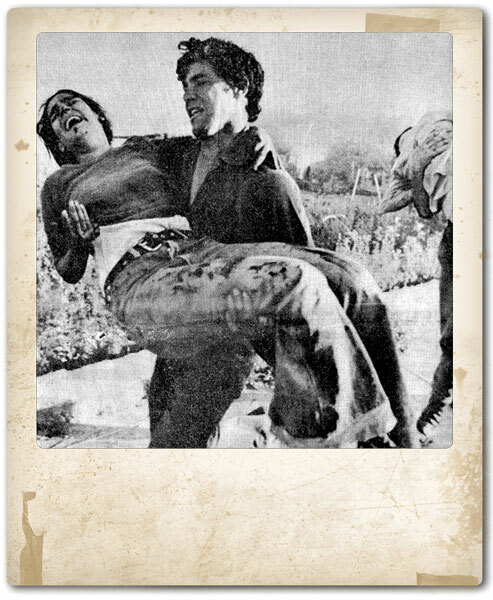 But 37 years ago, it was the scene of a horrific attack by Palestinian terrorists who took more than 100 students hostage in a school building, killing 22 and gravely wounding 68. On May 9, the eve of Israel Independence Day, a new documentary about what is known as the Ma’alot Massacre made its world premiere in a one-night-only screening in 250 theaters nationwide. The mass screening of Their Eyes Were Dry, by 24-year-old Los Angeles filmmaker Brandon Assanti, is as much a tale of one young man’s commitment to telling this heart-wrenching story as it is testimony to the pain and suffering of the survivors who for decades kept their memories to themselves. “Up until now, in fact, I had to keep inside what had happened and begin my life over again, as if this never happened,” says Tzipi Maimon-Bokris, one of a half-dozen now middle-aged survivors of the school massacre who agreed to tell their stories on camera for the first time. 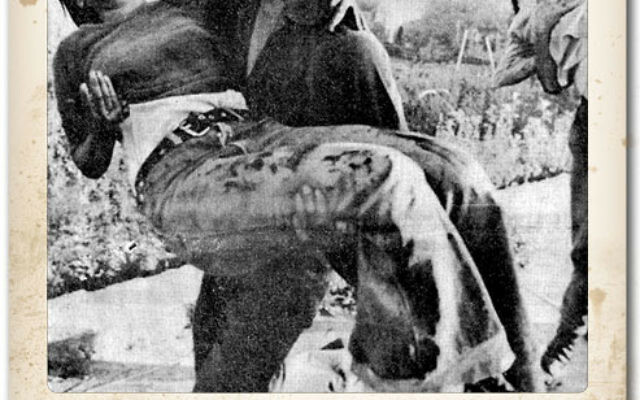 The bare bones of the story: In the early-morning hours of May 15, 1974, three members of the Popular Front for the Liberation of Palestine, a radical anti-Israel group, snuck across the border from Lebanon. Dressed as Israeli soldiers, they made their way to Ma’alot, where they killed three members of the Cohen family — apparently chosen at random — before entering an elementary school that was hosting more than 100 teenagers and teachers from a religious school in Safed for the night. Their Eyes Were Dry tells the story as no one has told it before. “As far as I know, it’s the first full-length film about Ma’alot,” said Marina Rozhansky, communications director for the Israeli Consulate in Los Angeles, which has lent its name to the screenings. Assanti spent five years on the project, his first full-length film. His parents are co-producers. He was 18 when he met Shlomo Bohbut, then the mayor of Ma’alot and a cousin of his father’s, at a family dinner in Los Angeles. Captivated by the story Bohbut told, and inspired by the fact that the oldest of the teen hostages were a year younger than he was at the time, Assanti spent a year researching the incident. “There was very little material available,” he said in a phone interview from his L.A. home. At 19, Assanti took his camera to Israel over spring break and summer vacation to track down survivors willing to share their memories. He doesn’t speak Hebrew, so he traveled with a translator and his Moroccan-born father, who spent a few childhood years in Ma’alot. Most of the interviews are conducted in Hebrew, with English subtitles. Assanti also has produced a Hebrew-only version, hoping to distribute the film in Israel. For the next two and a half years, he edited at night and did his college work during the day, managing to graduate from Loyola Marymount College with a degree in finance, albeit somewhat behind schedule. “I put everything on hold for this,” he said. Assanti steps back and lets those who suffered through the horrible day unwind the story, hour by hour. Their almost dispassionate retelling, born of years of submerging painful memories, is interspersed with stunning archival footage but no narration. Assanti says he wanted his subjects to tell the story, without outside commentary. The powerful technique works to his advantage. Inured as people may be now to children being murdered in wars and terrorist attacks, it’s rare that one has the opportunity to go inside an actual hostage situation and view it through the eyes of the children suffering through it. That’s what Assanti and his subjects give us, and it is strong medicine indeed. Yishy Maimon, the former mayor of Safed, was 17 at the time, and he describes standing by an open window in the classroom about to jump to safety when he remembered his younger brother, Shimon, was still being held. How could he go home and face his parents having left his brother behind? Maimon-Bokris, who was famously photographed being carried to safety in her brother’s arms, recalls the terrorist leader telling the children that they were “all going home now” before spraying them with gunfire and hurling a grenade at them. Major Gen. (Res.) Amiram Levin, who commanded the rescue operation, relates the conflict that raged that day between Defense Minister Moshe Dayan, who urged decisive military action, and Chief of Staff Moshe Gur, who favored caution. When he finally reached the classroom and saw the carnage — flesh clinging to the walls, headless bodies swimming in pools of blood — Levin’s heart broke. The Ma’alot Massacre has become an iconic part of Israeli history. But by focusing on the personal stories of the children themselves, Assanti tries to universalize the horror. The politics fade into the background as the minutes tick by.